What can the Little Brown Church in the Vale have to do with homeschooling? 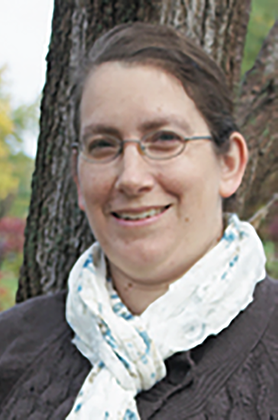 Our Homeschool Iowa magazine editor, Jenn Warren, will fill you in. 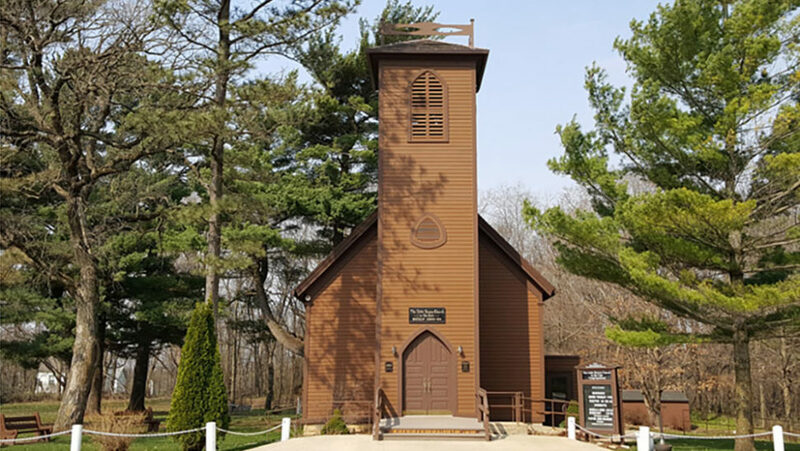 As I was completing research on the northeast sector of Iowa for a recent issue’s "Regional Focus" feature, I came across the story of the Little Brown Church in the Vale in Nashua, Iowa. The church is one of many that was built across the state in the late 1800s, but it is unique because a song was written about it by a traveler who passed through three years before the foundation was ever laid. In 1857, William Pitts, a young music teacher from Wisconsin who was in Iowa to do some courting, decided to walk around the booming town of Bradford, where his stagecoach had stopped for a team change. Near the end of Cedar Street, Pitts saw the spot where the church sits now and thought that it looked like a good place for a church to be built. When he returned home, Pitts wrote the poem The Church in the Wildwood and set it to music, then put it away. Bradford was continuing to experience great growth, and the congregation of the church decided that they were ready to build. A local family donated that piece of property that Pitts had seen to the cause. The limestone for the foundation was quarried and, in 1860, the church had a foundation. The country was in the middle of the Civil War, so building was slowed, but members continued to donate trees, time, and other supplies, and work on the new church continued steadily until it was finished in 1864. The most economical paint at the time was Ohio Mineral Paint. And though it would do the job of protecting the wood, it was brown, which disappointed some of the church members. That disappointment was short-lived though! Pitts had been hired to teach music at the Bradford Academy and was astonished to see a brown church, right where he had first envisioned a church being built back in 1857, a church that matched the lyrics to the song he had penned over seven years earlier. There’s a church in the valley by the wildwood. Oh, come to the church by the wildwood. 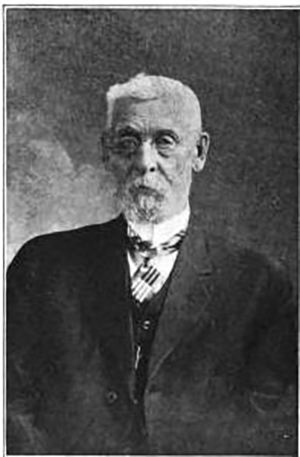 Pitts went home and found his music to The Church in the Wildwood and taught it to his students, who sung the hymn at the dedication of the new little brown church. Since that time, the church has had some ups and downs; it was empty for a time, but today it’s a well-loved place of worship and a local attraction. To read the rest of the history of the church, visit their website at littlebrownchurch.org (Photo above used by permission). The history of the church and the song are interesting to me because I enjoy studying the backstory of the hymns and songs that we sing. What struck me most about this story is that in 1857, when Pitts strolled down Cedar Street and saw the empty lot where the church was built, he didn’t know what the future held. The townsfolk were not yet planning to build a church in that spot. And He inspired Pitts to prepare a special song for the dedication of that church long before it was ever built. Do you encounter situations that are overwhelming? Do you have days when you just don’t know what you should do, how you can help your child? Are you a homeschooling mom who never planned to be a homeschooling mom, but situations happened that made you choose this course for your family? Whatever your situation, I have some good news for you. It’s simply this: God knows. God knew before you ever began to walk this road what obstacles you would encounter and what detours would be necessary. God knew what expectations would be exceeded, as well as what hopes would be dashed. God has your situation, as well as mine, in control. And even though we might not be able to see the way, God knows where we are going. So trust Him. Rest in the assurance that He has told us to “Fear thou not; for I am with thee: be not dismayed; for I am thy God: I will strengthen thee; yea, I will help thee; yea, I will uphold thee with the right hand of my righteousness.” Isaiah 41:10. Homeschool Iowa Magazine Editor, Jenn Warren, is a crazy-busy work-at-home entrepreneur, wife of 19 years to David, and homeschooling mom of two, who thrives on coffee and God’s amazing grace. Jenn also serves as our Homeschool Iowa Marketing Coordinator. Thank you! Just the encouragement that I needed today.